A group of students from Falmouth University are planning an exciting and innovative team-building exercise to be held on Monday evening, January 11, 2016. 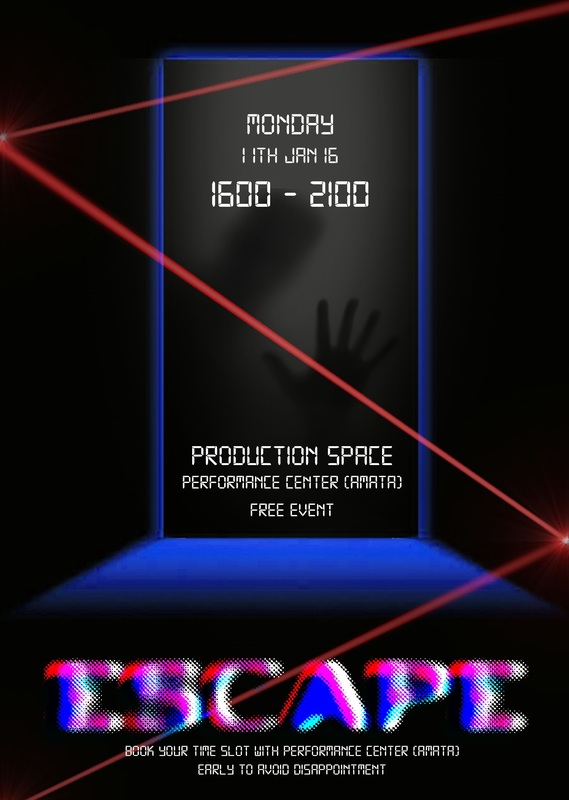 The ‘Escape’ event has been devised by BiJun Pan and three of her fellow Creative Event Management classmates as part of their assessed coursework to help students develop their critical, logical and observation skills while having an enjoyable evening. The vision of the event is: “To develop essential skills whilst having a fun experience with friends, or enabling participants to meet new people in a socially interactive and immersive evening,” added Ms Pan. The event will take place in the Production Space at the Academy of Music and Theatre Arts (AMATA) from 4pm to 9pm in ten sessions of 20 minutes. Participation is free of charge. Anyone interested in taking part can book a slot here.